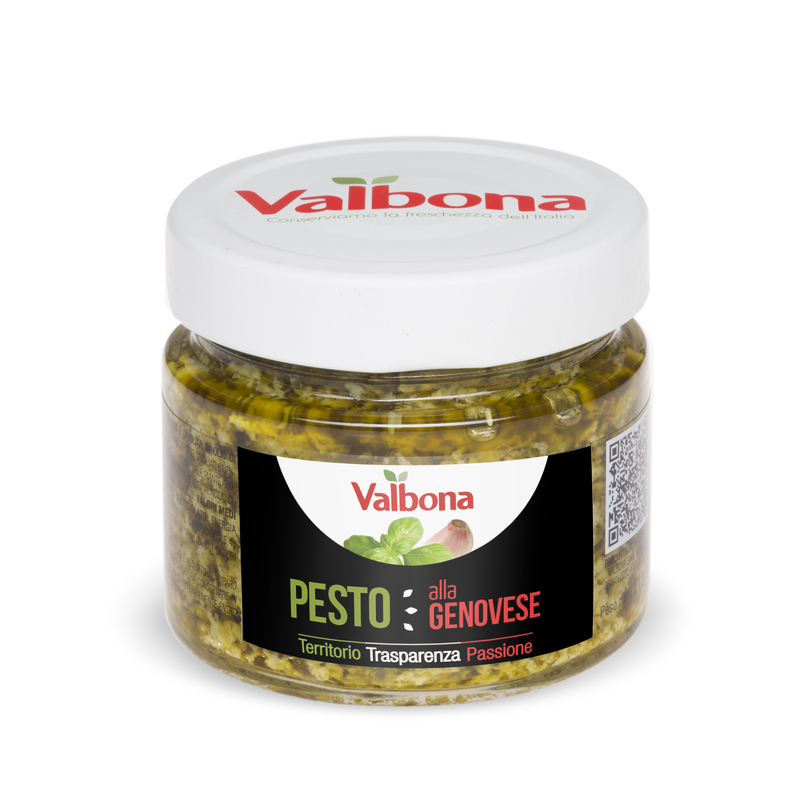 Territory, transparency, and passion are the three values upon which all the work of the company Valbona bases itself. Valbona boasts a yearly production of 35 million jars of pickled vegetable preserves, vegetables in oil, antipasti, grilled vegetables, pesto, patè and bruschetta sauces. The first value is the deep tie with the Italian territory, followed by the work carried out with transparency and ethics, always with the aim of quality, fairness towards its interlocutors, and respect for the environment. There is passion, too, which has motivated Valbona to produce good and safe alimentary products since 1962, the year of its foundation in the farms of Villa Lando Correr at Lozzo Atestino, in the province of Padua. 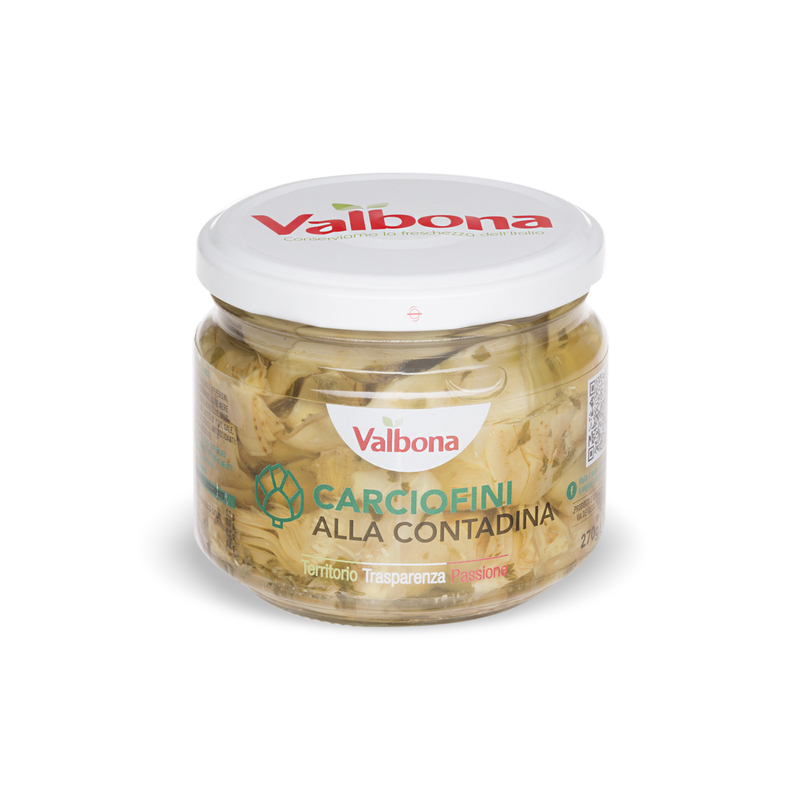 Today Valbona is present in over 20 Countries around the world with its products, which express the Italian and the Mediterranean gastronomic tradition. 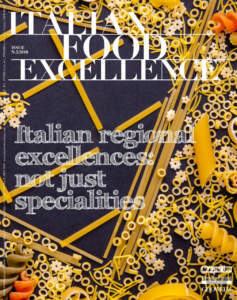 It uses almost exclusively Italian vegetables, processed by means of the most innovative technologies. The line of Pesto was born in the 90s in order to propose the flavours of traditional sauces. Pesto goes well with such good first courses as pasta, and it proposed in four variants: ‘Pesto Genovese’, prepared according to the old recipe of Liguria with basil, ‘Pesto Rosso’, a delicate tomato sauce prepared with tomato and basil, ‘Pesto Mediterraneo’, with peppers and ricotta cheese, and ‘Pesto all’Arrabbiata’, spicy and perfect for consumers who appreciate definite flavours. Antipasti classici (traditional appetizers), produced since the mid-80s, are requested by consumers who like traditional, wholesome, and inviting tastes: both dried tomatoes, fragrant, tasty and appetizing, and firm and crispy artichokes, characterized by a sweet and natural taste, go well with meat, fish and cheese. They can be served as appetizers, side dish or in addition to such courses as salads or pasta salads. 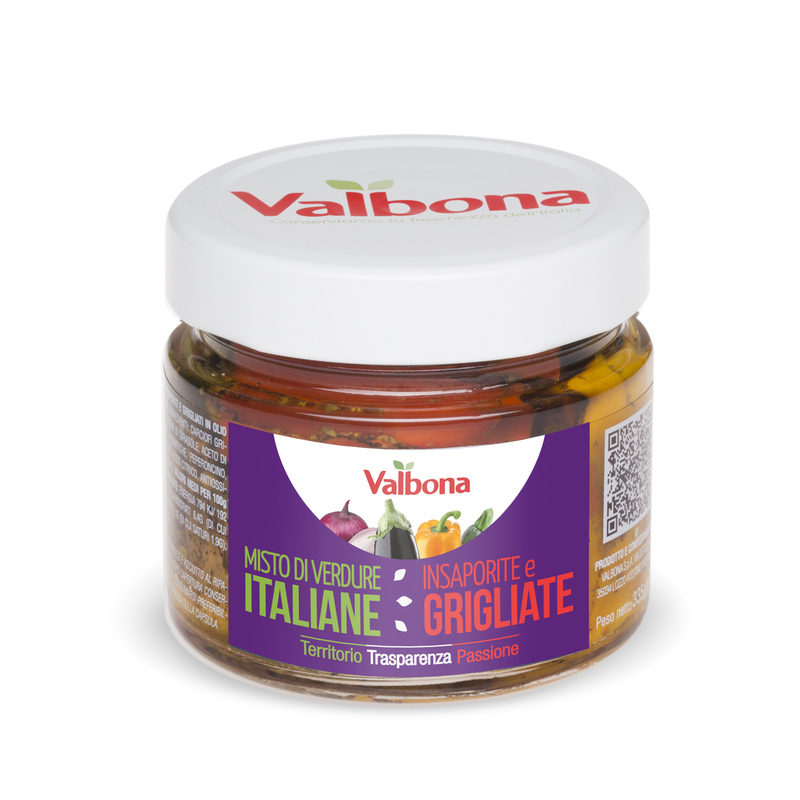 Verdure grigliate (grilled vegetables), available in 4 references, are ideal for consumers who appreciate rustic and traditional flavours. They are an excellent alternative to the most common side dishes and give a touch of originality to every recipe, as they perfectly accompany meat, fish, and cheese. 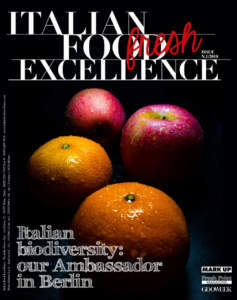 They are high quality products, as vegetables grow in Italian regions particularly rich in local varieties. Over the years, Valbona has obtained all the most important certifications: TFMS – Tesco Food Manufacturing Standards, ISO 9001: 2008, ISO 22005: 2008, BRC Issue 6, IFS Version 6, and WQA Standard (Woolworth Certificate). Therefore, quality has always been a fixed point for this company. Cristina Marchetti confirms this: «Consumers who choose Valbona can rely on guaranteed products, because both health and safety for our customers are primary values, for us. We are currently working in order to obtain the “Gluten Free” certification, thanks to the absence of gluten in several of our items. In addition, over the next two years we will also reflect on both environmental and organic certifications». Besides producing with its own brand, Valbona is also a leader in the sector of private labels: the best companies of large-scale retail trade, even international, have chosen Valbona as their partner for realizing products in oil, pickles, pesto and sauces. Cristina Marchetti, President and CEO of Valbona, specifies: «One of our strengths is the wide range of references we propose. They are original as for both types and format, and are able to meet all the needs of our market. In addition, it is important to consider our timely and efficient service, as well as reliable and flexible structure, and high quality standards, required by the most important certification procedures. 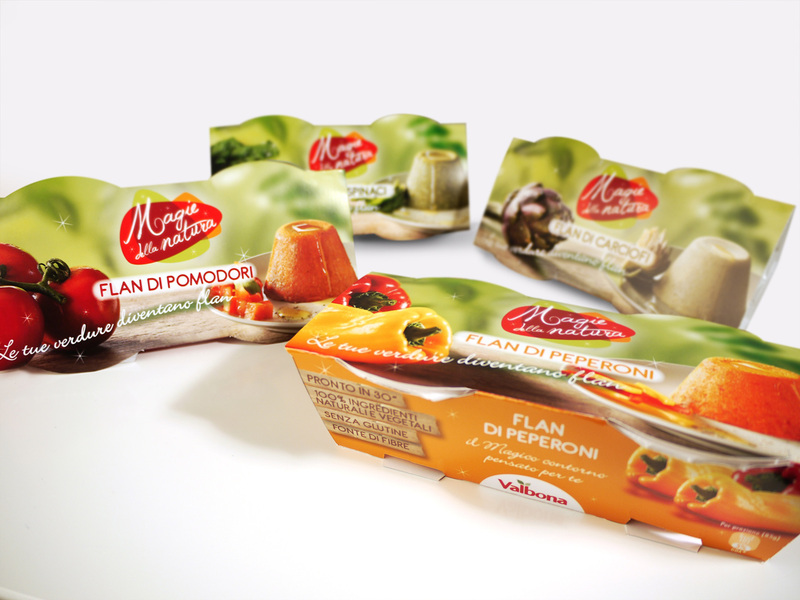 We recently diversified our offer with fresh products, with the brand 'Magie della Natura', assigned to all the productions of processed fresh vegetables and ready to eat products, which includes processed vegetables ready to cook. In addition, we are now producing a line of Flans with fresh vegetables. Flan is like a little vegetable tower and, at present, these products will be proposed to the domestic market only. 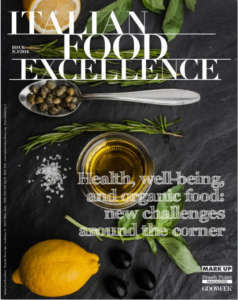 Our main goal has always consisted in offering good, natural and healthy food, in line with the new lifestyles. In order to achieve it, we make good use of all our know-how in terms of functional skills, knowledge, and alimentary technologies. We have recently carried out a redesign of packaging and, for the future, we hope to consolidate markets where we are already present and win new ones, so reaching the USA, Canada, and Eastern Europe».